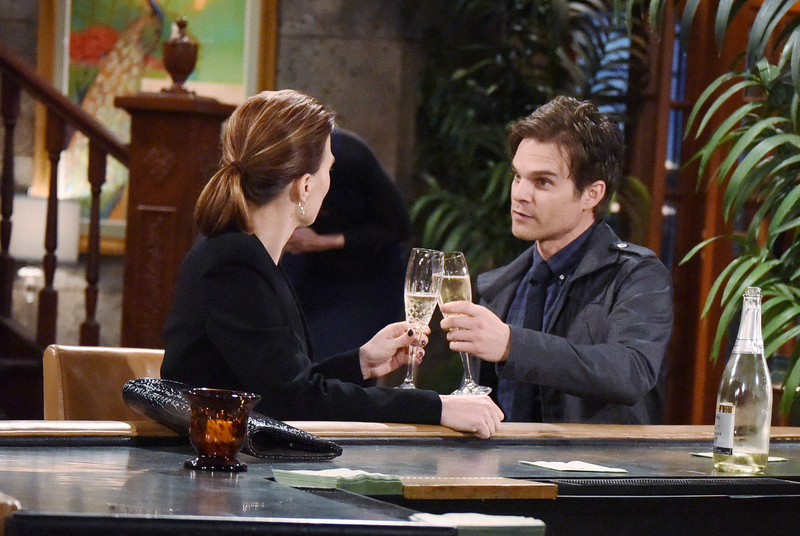 Phyllis and Kevin toast to "victory." Only seconds after enjoying a sip of champagne at the bar, Phyllis and Kevin encounter Victoria, armed with a less than joyous remark. "Are you drinking to my father's demise?" she asks the two. "Stay classy, Phyllis."